Early last month, we were quite impressed with the video for Simogo’s upcoming platforming game Bumpy Road. Not only did the game feature incredibly charming graphics and music, but it employed a unique gameplay mechanic that I hadn’t quite seen before on the iOS platform. 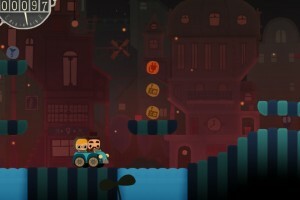 As a happy couple drove along in their car, you could manipulate the ground below them with a simple touch of the screen, raising the elevation to either push them forwards or backwards or to bump them up into the air. It seemed like a great idea, and a perfect fit for the touch screen. 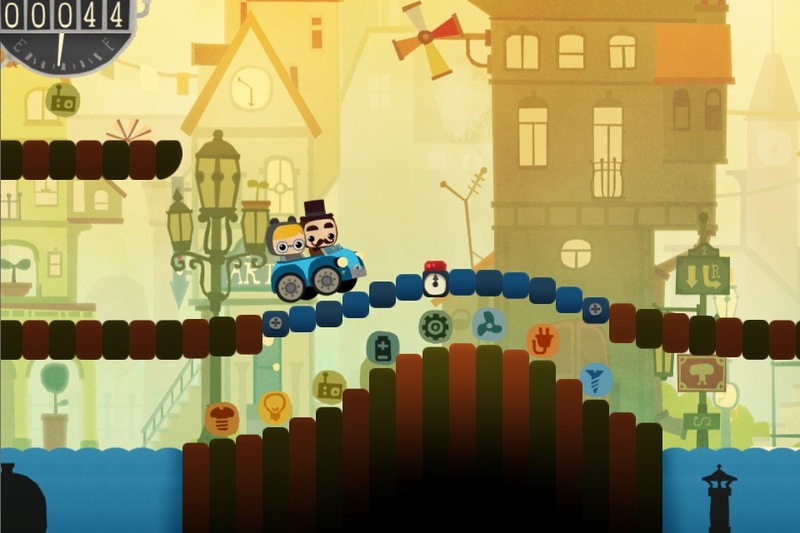 Simogo has since given us a preview copy of Bumpy Road, and after playing around with the game for the past few days I’m even more impressed with the mechanic in practice. It works just like you would expect it to from watching the video, and the springy response of the ground manipulation makes for an interesting take on platforming. Interacting directly with the ground feels very intuitive, but it also takes some practice in order to get the car doing what you want. The one level available in my preview build of Bumpy Road is an endless, randomly generated level full of platforms to jump on and treacherous pits to avoid. As you drive along, you’ll collect an assortment of different gizmos that act as fuel for your car. Filling up your fuel gauge will send you rocketing along in a silent film-style sequence for a short period of time, letting you concentrate on collecting as many gizmos as you can. Some platforms also have special features like springs that shoot you into the air or timers that will cause the platform to disappear from right beneath you if you aren’t careful. At the end of a run, your score is calculated by the total distance you were able to travel, as well as bonus points for all the different types of items you picked up along the way. In addition, there are also special “memories” you can collect, which are photos that unlock in a gallery and tell you the life story of the couple riding in the car. There’s just something endearing about these characters and the entire game in general, and I find myself looking forward to learning more about their lives by collecting photos, which is a unique attachment to have for an endless-style game. The full version of Bumpy Road will contain the endless level Evergreen Ride as well as a second level called Sunday Trip which is focused on time trials. Game Center will be included for leaderboards and achievements, as well as Facebook and Twitter integration. I’ve really enjoyed my time with Bumpy Roads so far, and I think that its special mix of visual splendor and unique gameplay could make for a really successful entry in the App Store. 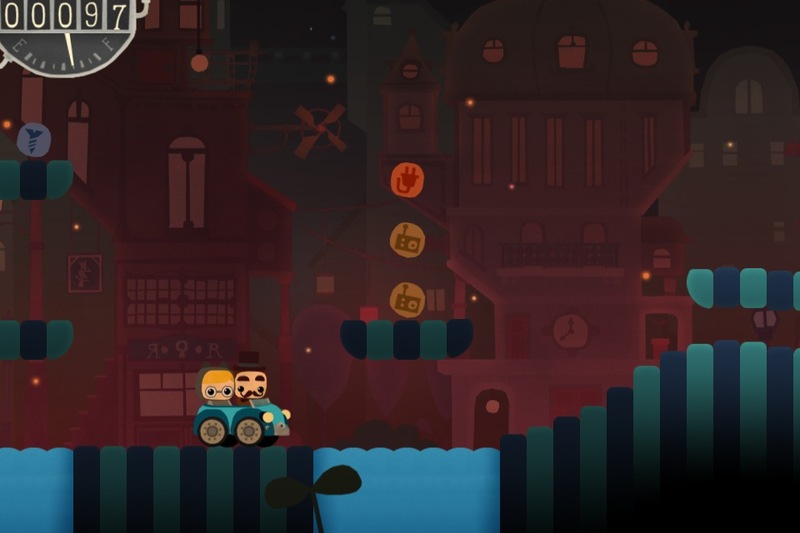 Simogo hopes to have Bumpy Road out sometime next month as a universal app, and until then you can drop by the thread in our forums where members are discussing the game.